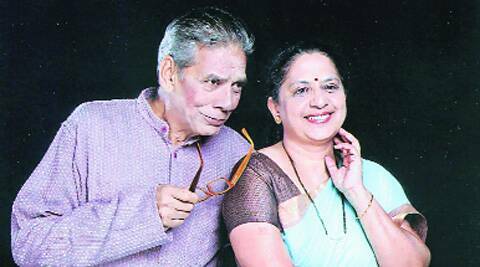 The play ‘Aai Retire Hotey’ (A mother retires) was penned by writer-actor-director Ashok Patole around 30 years ago. Yet its relevance remains the same even today. “From the time a woman takes a birth till she dies, she is labelled with many roles and responsibilities expected of her. As a girl she has to behave in a certain way in the society, as a wife she has take care of her husband, child and in-laws and when she grows old, she has to take care of her grandchildren. Basically, the society exploits her in the name of various labels. In‘Aai Retire Hotey’, when the protagonist, an old woman, realises that her existence and importance in her family is ratio-proportionate to her usefulness, she decides to retire from her responsibilities,” explains Patole. To mark International Women’s Day on March 8, the 100th show of ‘Aai Retire Hotey’ will be staged at Yashwantrao Chavan Natyagruha at 5 pm on Saturday. Interestingly, it is the third version of the play that will be staged in the city. While the first version, which had its debut in 1989, had 750 shows and Bhakti Barve playing the lead, the second version, staged two years ago, had around 100 shows with Smita Jaykar playing the protagonist. The current version, produced by Kalakaar Pune, has Meena Phadke essaying the role of the protagonist. The play’s popularity was so much that it attracted theatre artistes associated with other languages too. For instance, Shafi Inamdar staged a Gujarati version, ‘Baa Retire Thai Che’ and Ramesh Talwar did a Hindi version , ‘Maa Retire Hoti Hai’ with Jaya Bachchan playing the lead. Recalling the year when he came up with the storyline, says Patole, “It was a day of some local religious festival and I was at a friend’s place. While my friend, his father and I were sitting on the terrace, his mother kept coming to the terrace every few minutes with a plate of bhajiya (pakoras) or sandwich or some other snacks. I noticed this and said in good humour to my friend’s father, ‘Uncle, you have retired… but when will aunty retire?’ And we all laughed.” However, later, when he gave his observation more thought, he decided to write a play on the concept. Although the script was ready, Patole couldn’t find producers for three-four years, until he met Dilip Kolhatkar, who agreed to direct that version and Parmanand Pednekar, who produced it. “The society was different around 25 years ago when the play was first staged. In the second version, we introduced elements such as cellphones and laptops so that the story reflects today’s world,” explains Patole, whose other plays include Shyamchi Mummy, Bal Kurup Balanteen Sukhrup, Bon Sai, Pratima, Mojuni Maravya Paijara, Durga Bai Jara Japoon and Agnidivya. He has also written TV serials such as ‘Yes Boss’, Shriman Shrimati, Chunauti and Hasratein and films such as Chaukat Raja and Zhapatlela.